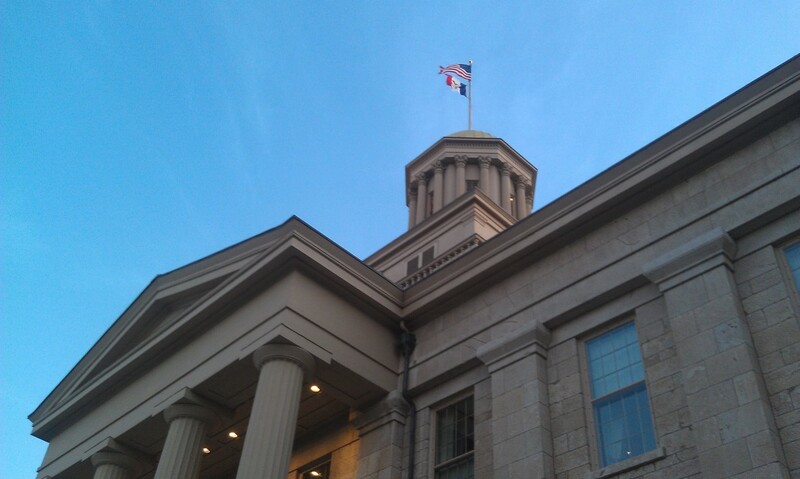 Old Capitol, the iconic centerpiece of the University of Iowa's Pentacrest. Yiman Lyu said she barely knew what she should do at the beginning of her application process to attend college in the United States. Lyu, a 21-year-old University of Iowa junior from Shijiazhuang, Hebei Province, majoring in mechanical engineering, tried solving the puzzle by gathering information from the Internet. Her parents also asked their friends whose children studied abroad. However, the information they gathered was limited. The Test of English as a Foreign Language (TOEFL) and Scholastic Aptitude Test (SAT) are two common tests that Chinese students take in order to enroll in U.S. universities and colleges as undergraduate students. Preparing to study in the United States can be difficult for Chinese students because of cultural and language differences. Although a hired agency did most of the work on Lyu’s application, it messed up the application. During the application process the agency romanized her surname to “Lu,” which is a different Chinese family name than Lyu’s. As a result, several universities could not process Lyu’s application. Lyu found the problem after seeing her family name on her passport is “Lyu” and noticing she was not hearing from any university to which she applied. She discovered this problem early enough to apply at other universities with late deadlines. Eventually, the University of Iowa admitted her. 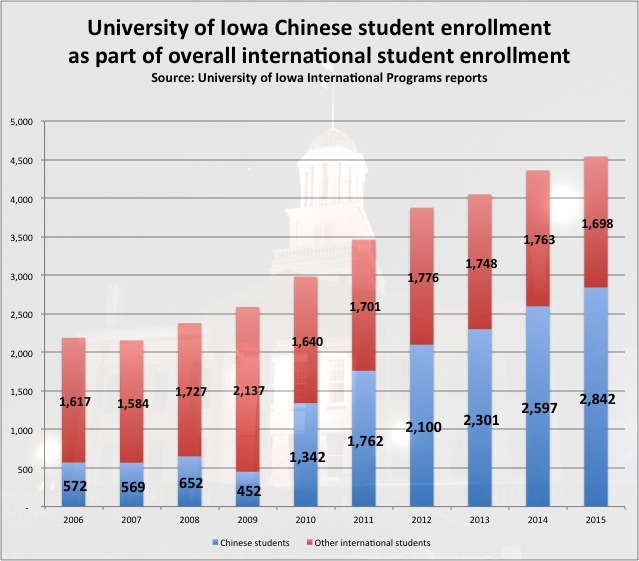 Lee Seedorff, the senior associate director of University of Iowa International Student and Scholar Service (ISSS), said people at the university have noticed that many Chinese students used study abroad agents to apply for admission. She said this is not necessary and that agents sometimes have the tendency to complicate the process. This series includes IowaWatch stories about students' struggle to adjust while studying in foreign countries and reporting that looks at university practices that make interactions with domestic students more difficult and increase isolation.